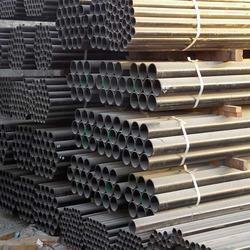 Manufacturer & Supplier of MS Pipes & MS Pipe. Our product range also comprises of Boiler Steel Plate, Structural Steels and Ship Building Plates. We are among the pre-eminent organizations, involved in manufacturing, supplying and trading MS Pipes. Available in different lengths, thicknesses and sizes, these pipes are widely demanded by various industries like food & beverage, chemical, petrochemical, pharmaceutical and cosmetics. In addition to this, we provide tailor-made solution for all our offered pipes as per customers’ requirements. Looking for MS Pipes ?